So, what's the one thing pretty much every Arcanist build except TSS uses? Devastation! Devastation is a great nuke on bosses and PRM builds always relied on it for single target damage. This build aims to make PRM's single target damage so good that you can farm the end-game with it. PRM is a skill whose damage is spread b/w 4 damage types - Elemental (Fire, Cold, Lightning) and Aether. 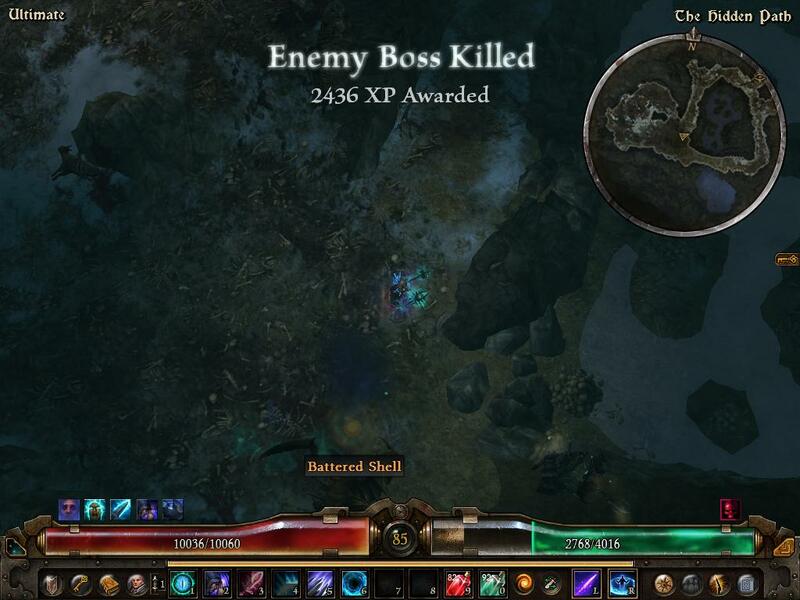 The damage being spread out like this diminishes this skill's overall single target damage potential. Working on Elemental as a whole to solve this is one way but then we fail to harness aether's full potential imo. There are alternate ways to do this like running with only one Decree and using an off-hand but it destroys the uniqueness of this build. I am just putting this one line here for anyone looking for something more convenient. Since we're going full aether we need some nice resist reduction. We also have racial damage i.e %aetherial damage which helps us with aetherials. Since PRM has no %weapon damage component we focus on percentage modifiers as flat damage won't do us any good. We need focus on %modifiers. Jackal's is there to solver our energy problems. Plus we need DG for the OA. I'm still tinkering with the devotion part, but the current setup is pretty strong. Now Flame Torrent is a pretty strong proc and clears trash and helps vs bosses (when you're in melee range). I tried Falcon Swoop and found it underwhelming, Swoop is a great skill but ever since the nerf(s) it doesn't fit in many builds. Alternatively 1 point in CT can help you cast Arcane Bomb. I like Gaze of Beronath though as it helps me defensively. -Cowl of Paragon and the set's shoulders boost PRM but i'd have to trade survivability so i don't bother. -The chest-piece isn't important to cap resistances. Just use Shroud of Illusion for the defenses. You can kill anyone just remember you're a caster so learn to move a little. Special note on the two below. You're firing projectiles at her i am pretty sure you can imagine how much that makes her aura go off. Keep your distance and play with a cool mind. The moment you loose your cool you die. He's dangerous when enraged, be careful about his Burn DoT. His physical attacks aren't half as threatening imo. I'd like to thank Sobertooth for running some tests at my request that helped me optimize this build. Decree of Aldritch is a pretty great addition to the game. You can use it for many great conversion builds but i'm not a big fan of all the other skills in the arcanist tree (particularly TSS and AAR) which is why i made a build with PRM. I presented how the concept can be applied to Callidor's Tempest to increase its single target output and to remove the necessity of Devastation. I did that with my Shield Caster. Similar concept can be used for Grenado, BWC, TSS, AAR and any other skill with elemental damage. Melee Aether Build using Decree are also possible. This is a fun build due to its uniqueness in the way it plays. I loved PRM. Last edited by Chthon; 01-24-2018 at 08:44 PM. Last edited by Chthon; 01-10-2017 at 05:47 PM. Gah, why can't it be in the god damned crucible loot pool.... Port runs are irritatingly long. Did i miss something? Has someone already made a build out of Decree and posted it here? Na, its just double-decree is all the rage. People are trying to get them (legitly mind you) to try and get setups for it, you just made a post for PRM on it. I'm working on firestrike-IEE iskandra decree, I've seen one guy in the discord working on Aether-skyshard double Decree, I've seen someone checking if P-blades worked well on double decree, double decree this, double decree that, double decree anything based on elemental, bla bla bla. I don't doubt you got yours legit, but its all the rage. I know I'm looking at like 12 decrees I need for all the builds I want to try out decree on. Last edited by Steelflame; 01-10-2017 at 04:38 PM. Devotions don't seem to be possible? Is this intentional? It's only possible to gain 3 edritch nodes from Fiend, meaning unless I take a point in a star not listed in your guide its impossible to proceed to Behemoth or Widow? Last edited by Seemann; 05-16-2017 at 02:40 PM. I had no idea that was a thing that was even possible... Thanks a ton! Amazing look. I really look forward to the day I will play a caster in GD That headpiece though. NO way! Last edited by Makian; 05-16-2017 at 03:32 PM.